Mimii Mar 28 2019 9:13 am I like her more than Kim Yu Jung. I really liked Kim Yu Jung in the Revolt of Gumiho, but that was it. She is a good actress, but I can't seem to bring myself to like her anymore. But, I really like Park Si Eun, her acting is continuously good and sincere, and she's really pretty. Miali? Dec 26 2018 2:07 pm So beautiful? Jinjja Sep 11 2018 2:32 pm She is rumored in jyp new girl group, right? Jen Mij Aug 29 2018 9:22 am She looked a lot like Park Bo Young.. is she her sister? thatMDfan Mar 10 2018 5:54 am She's a great actress! I love her so much in Queen for 7 days. She's a natural actress and I can't wait for her to be recognized and rise to fame in the near future! anah Jan 12 2018 7:02 pm I love her in Just between lovers ... such diversity! love your acting!!! minmin Aug 20 2017 12:10 am before. i have no intension to watch queen for seven days then i try , when i see park si eun and her talent in acting i said ommo.... this girl is so awesome and she is the reason why i found the first 4 eps so enjoyable and fantastic hope to see her in many projects and dramass ..
ArtemAbsinthium Jul 31 2017 12:57 pm Oh. My. God. I loved her so much in Queen for seven days !! She is the reason why I found the first four episodes so enjoyable, and I ended up dropping the drama at ep 10 because I couldn't find the other characters (except for Kang Kiyoung's) as loveable or interesting ;; I reaaally hope to see her more in the future, can't wait to see her become a super actress with a bunch of lead roles c: I mean, that's my first comment on this website, I'm writing it because she is that good in my opinion ! betul Jul 18 2017 10:18 am after seeing shieun in signal i was really captivated despite the short time, i wished to see more of her. thank god for the spotlight in queen for seven days where she was the main in the first episodes and just as expected delivered so well. everything from expressions, emotions and even dilect felt so genuine and real. im still watching the show and i know the older actors are good but i keep missing shieun, shes so addictive. i hope only well for her in the future and that she gets the popularity and recognition she deserves. such a pretty talent! Yes Jun 12 2017 5:21 am This girl joining Criminal Minds as lee jun ki's first love And this is the second time her works with moon chae won after love forecast movie,, Fighting for your apperance ? Sundae Jun 11 2017 3:07 am Shes natural, cute,beautiful shes a good actress i wish you more more dramas to come... God bless! CoffeeManiac Jun 06 2017 1:58 am She's JYP trainee right? 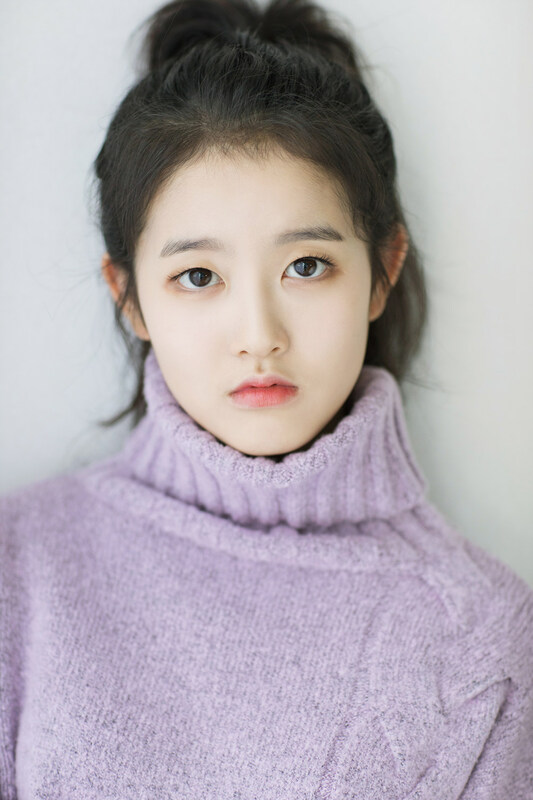 Will she debut in jyp next girl group or maintain in acting industry? Jihae Jun 02 2017 8:38 am Very good job in Queen for 7 Days with a lot of natural reactions and various emotions. Rooting for you Si-Eun! 파이팅! ION May 12 2017 9:00 am I really prefer her without a bangs, her beauty shines more without bangs. but overall she's a good actress she deserves another drama spot, just like Kim So Hyun have. lee catnip Feb 10 2016 1:37 am She's in the currently being aired drama, Signal. Pretty and good young actress.